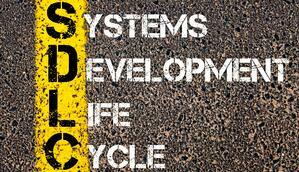 The system development life cycle (SDLC) is an extensive process that basically acts as the spellcheck function for the world of software development. It has the capacity to flag errors and potential issues in the earlier stages of software creation before they reach the final production. This is, of course, oversimplifying SDLC. Its purpose is a little more comprehensive than that, and SDLC benefits go beyond “spellchecking” your code. But for the sake of understanding the big picture that is the system development life cycle, it’s best to keep things simple. SDLC is a framework that defines tasks performed at every step during the process of software and systems development. Development teams follow this structure within the software organization. It is composed of a detailed plan discussing how to develop, maintain, test, and replace any kind of software. 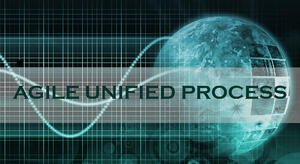 This methodology is used to improve the quality of resulting programs and the overall development process. Listed below are the six SDLC methodologies used by developers, and the sizable advantages you and your business can get from them. Even though it’s one of the oldest SDLC models, the waterfall approach is still widely used. It features a rigid framework that demands all system requirements be defined from the beginning of a project. Developers can only start the design and development stages once all prerequisites have been identified and categorized. Once the development is done, the product is then tested against the initial requirements so that any rework can be assigned. Although there are some software companies that find the model too rigid, it’s still a strong solution for different types of projects—particularly ones from government contractors. One particular advantage of waterfall development is that it allows control and departmentalization. You can set a schedule for deadlines at each stage of development, and products can proceed through the development process one at a time. Development starts from concept, then proceeds to design, testing, installation, and troubleshooting before winding up at operation. Of course, each stage of development follows a strict order. The Agile SDLC methodology is the opposite of the waterfall model. Instead of treating design, requirements, and testing as major succeeding steps, the agile method makes them ongoing processes. This means they require involvement not only from developers but also from customers and the management. Typically, work is divided into two- to four-week segments called sprints. Responsible teams are tasked to tackle the main needs of their customers and perform necessary testing as they go through the process. The Agile SDLC method works best in small organizations, particularly in startup businesses, where flexibility is important. Teams that embrace this model also often apply another agile methodology known as scrum, which allows them to structure more complicated projects. Daily Scrum meetings are held to let the team monitor their progress as they move forward in the project. There is also a ScrumMaster, who is in charge of keeping everyone on the team focused on finishing their goal. The lean and agile approaches are actually interconnected. Both methodologies prioritize the speed of delivery and constant improvement. The difference is that the lean method is grounded in creating the best practices, where excess effort and waste are considered a huge risk to an organization. When dealing with projects and software, this lean approach prioritizes reducing waste in all stages – including scope, cost, and scheduling. This is the most compelling and best-suited methodology for any organization that implements strict requirements for hardware. With spiral methodology, teams are able to adopt several SDLC approaches based on the risk patterns of the assigned software project. It is also a mixture of the waterfall and iterative models of development. One common challenge that you can expect from a spiral model is knowing the best time to jump into the next stage. This approach also involves high risk management. Because each iteration begins by predicting and preparing for all possible risks down the road, you can figure out the best way to prevent or eliminate them early on. Large projects usually benefit the most from the spiral model. It allows development teams to construct a product that’s highly-customized, incorporating user feedback early on in the process. Additionally, businesses that are not yet certain about their requirements – or perhaps expect huge edits during their project – can greatly benefit from this method’s scalability. Mentioned earlier, this approach initially takes the waterfall method and cycles through it multiple times – but in small increments. Instead of stretching the whole process across all stages of the SDLC, each phase is categorized into different mini-projects. Each of those projects can add more value to the bigger output as the product continues to evolve. The iterative methodology has a lot in common with the agile SDLC model when it comes to goals. The only difference is that external customers are not too involved and the scope of all increments are generally fixed, so teams do not have a lot of flexibility on this part. Compared to other SDLC methodologies, the iterative model creates a working version of the project earlier on in the process. This makes it a bit less expensive to implement any future changes. One downside, however, is that this method’s repetitive processes can use up your resources more quickly than in other approach. One of the most current SDLC methodologies used by IT organizations and software companies right now is DevOps. As the name suggests, the goal of DevOps is to gather teams of developers together with operational teams for a much faster support and delivery process. In this method, both developers and operations team work together closely – sometimes even forming a single team. The purpose of this model is to create faster innovation and deployment of higher-quality software products and functionalities. While the product updates are small, they are done frequently. The hallmarks of this model are discipline, constant feedback and improvement, and automation of manual processes. An advantage to this method is that organizational risk is reduced while changes become more fluid. The only requirement for this arrangement to succeed is that teams need flexible resources. 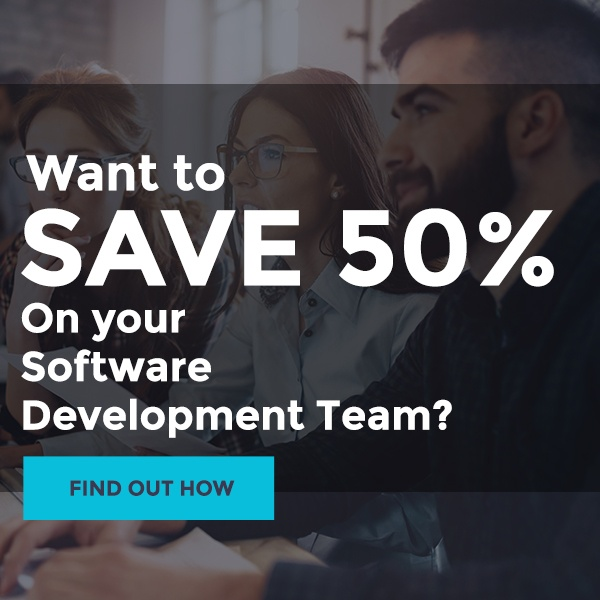 It’s important to plan properly before selecting the most suitable SDLC model for your next software development project. Certainly, all SDLC benefits are appealing, but always remember the drawbacks that balance them out. Remember that finding a methodology for your project is just one component of your overall success. Do you need help with your new project? Here at Bydrec, we guarantee high-quality service for all our clients. Call us now to schedule a free consultation.